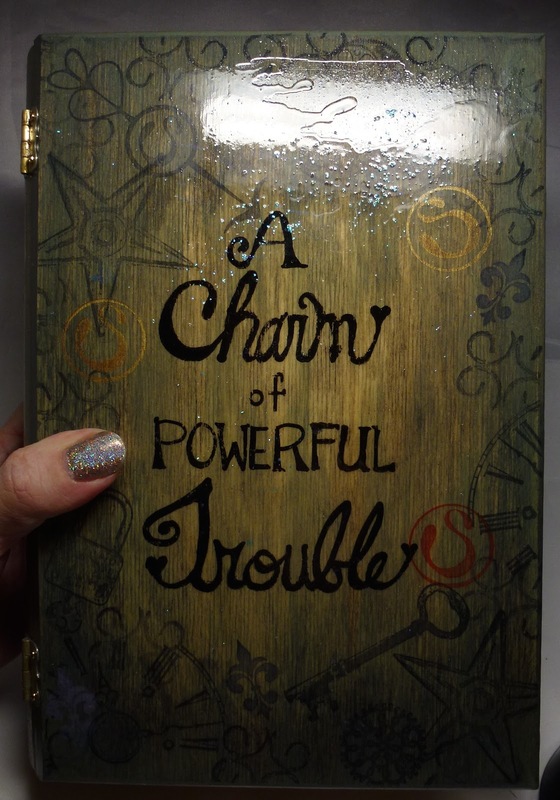 First, let's have a look at the box. 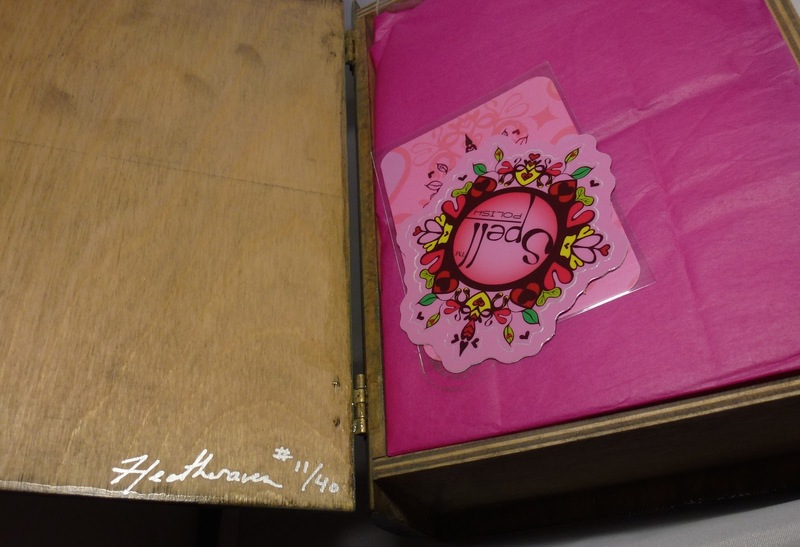 This was a special offering that is no longer available - my box is numbered 11 out of 40 and signed by the brand's maker, Heatheraven. 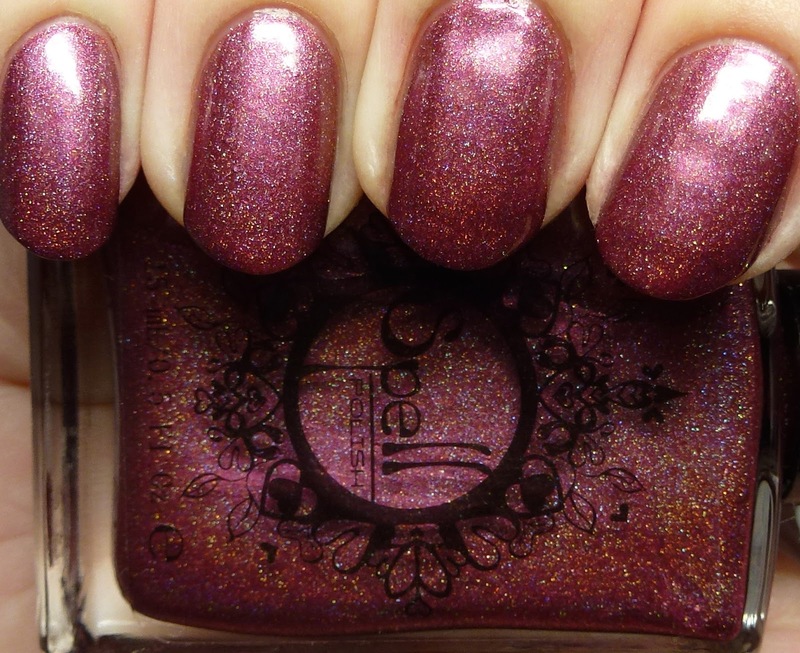 Given that the theme of the collection is Shakespeare's Lady Macbeth, the idea of a book-shaped box in which to house the polishes really appealed to me. I loved the attention to detail with the stamped tissue paper and cards as well. Each bottle came individually wrapped in padding and in a plastic baggie, but I removed the padding so you could see the bottles here. 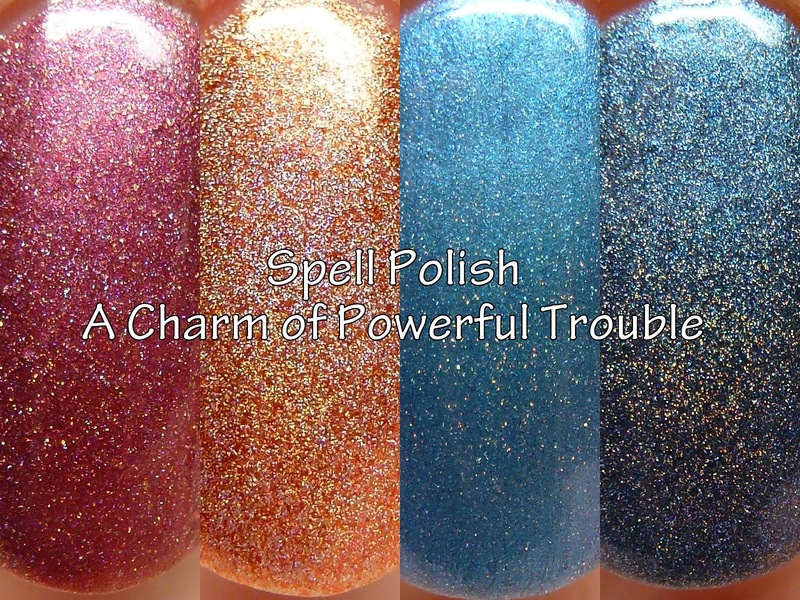 Now for the polishes! These all had fantastic, smooth, quick-drying formulas with no issues. 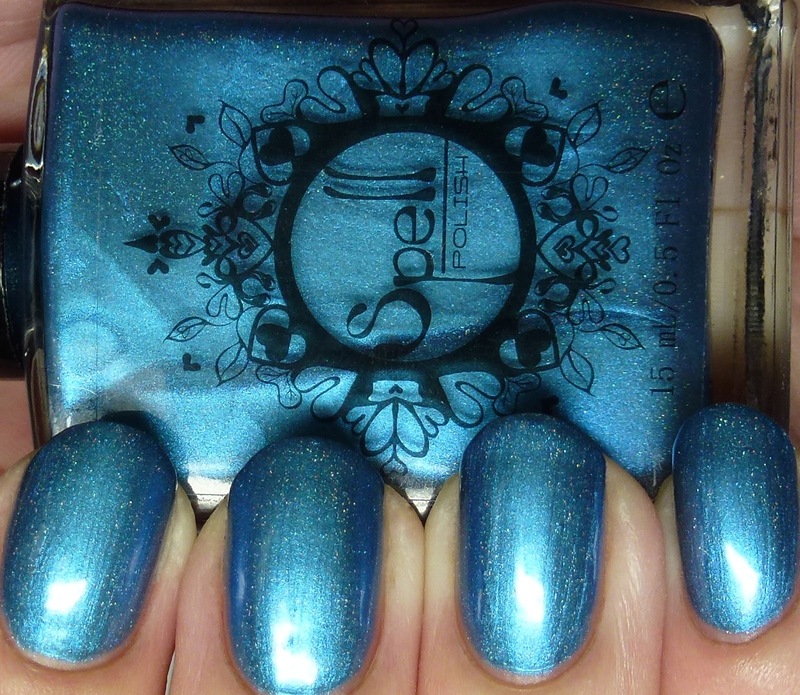 While each is priced at $17, more than most indie polishes, the quality is there. 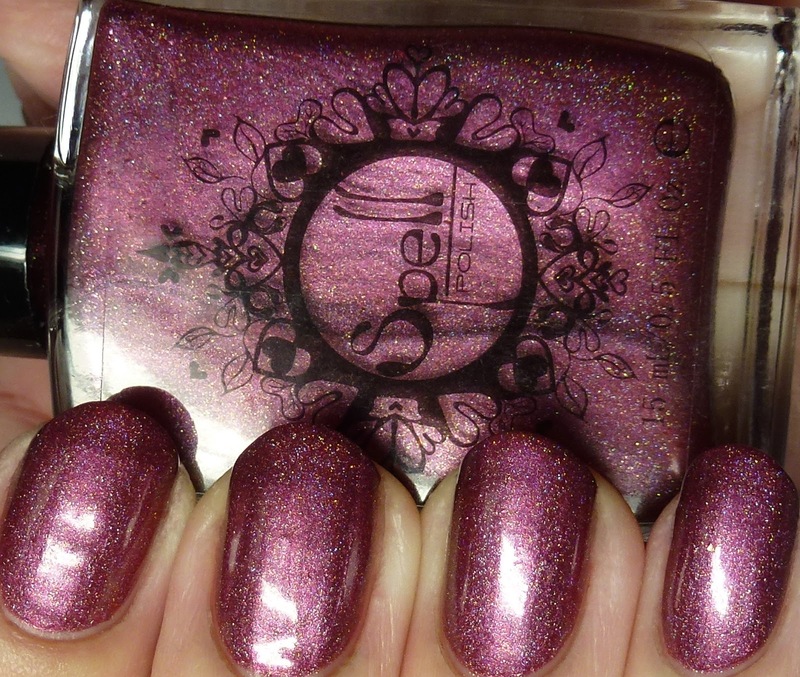 Adder's Fork is a marsala shimmer with scattered holo and marsala flakes. 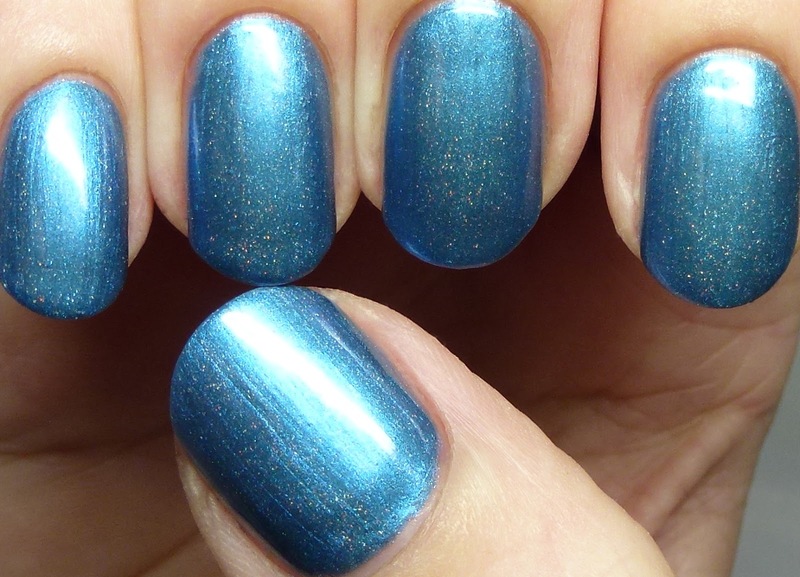 I wore it with three thin coats. It's a great take on the 2015 Pantone color of the year, but actually it was released last fall, before all the publicity about the shade went live. 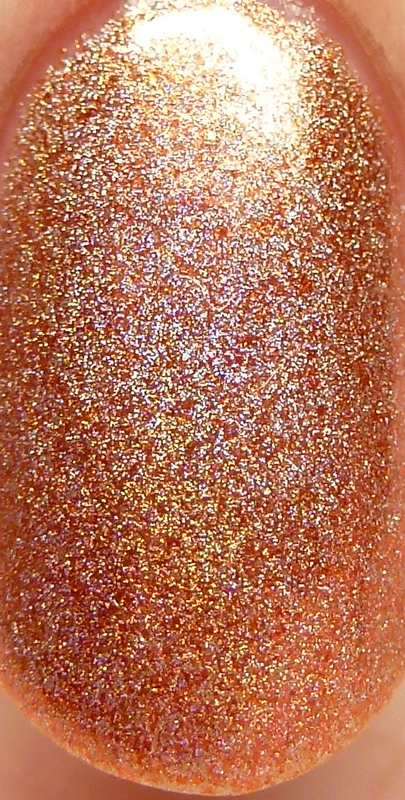 Blind Worm's Sting is my favorite of the whole collection, with copper microflakes and holo shimmers. 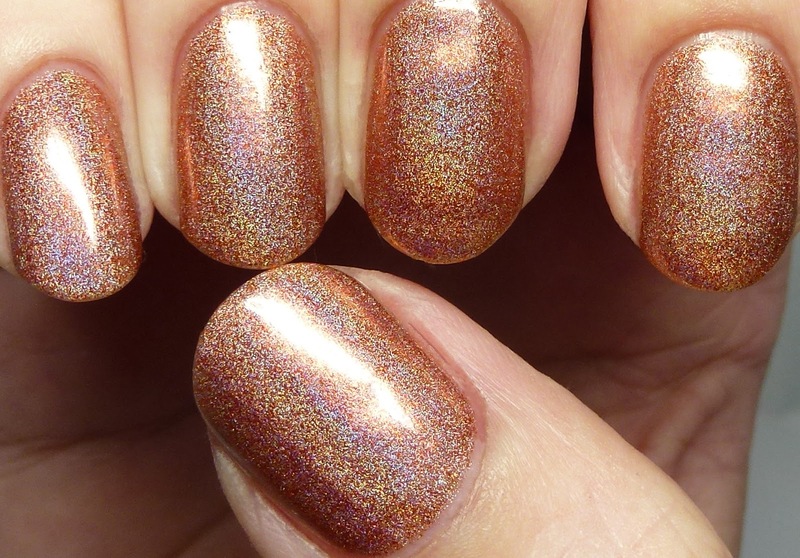 This one I also wore with three thin coats. 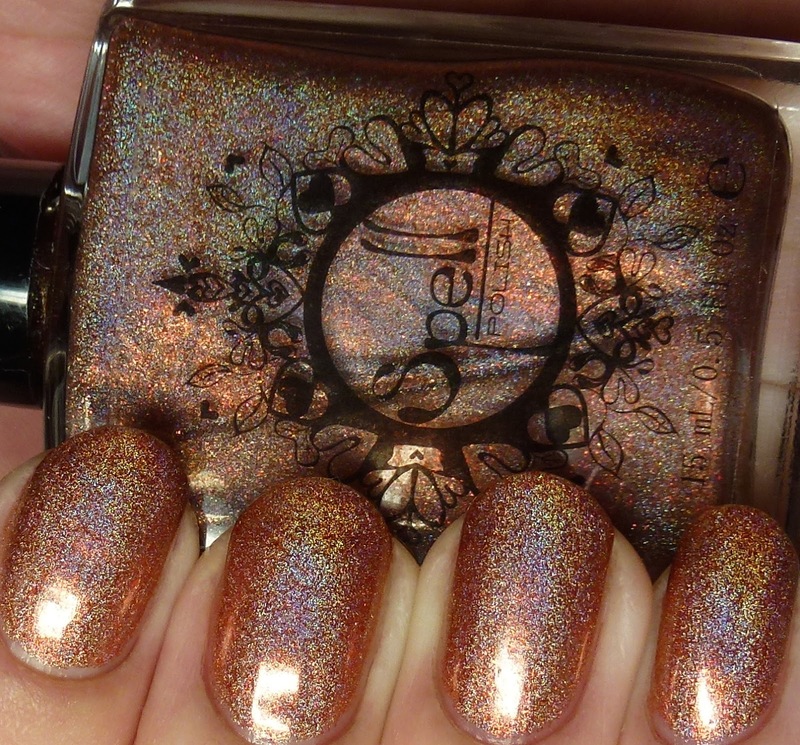 It is just luminous and I love the speckled finish. 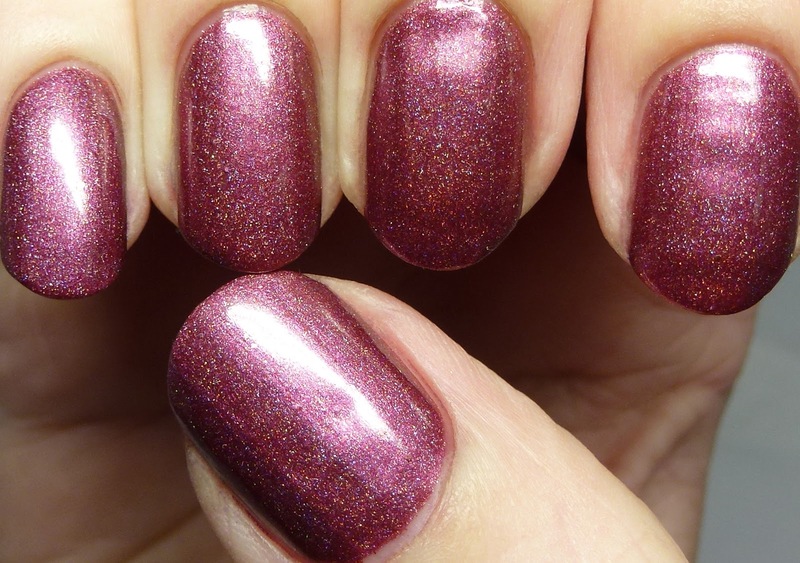 It layers to opacity very quickly, but could also double as a topper in one coat. 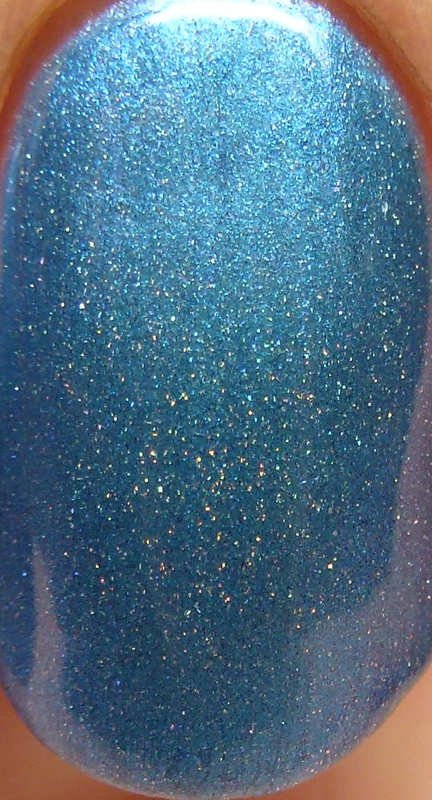 Eye of Newt has scattered holo in a cyan shimmer/frost base, which I also wore with three thin coats. 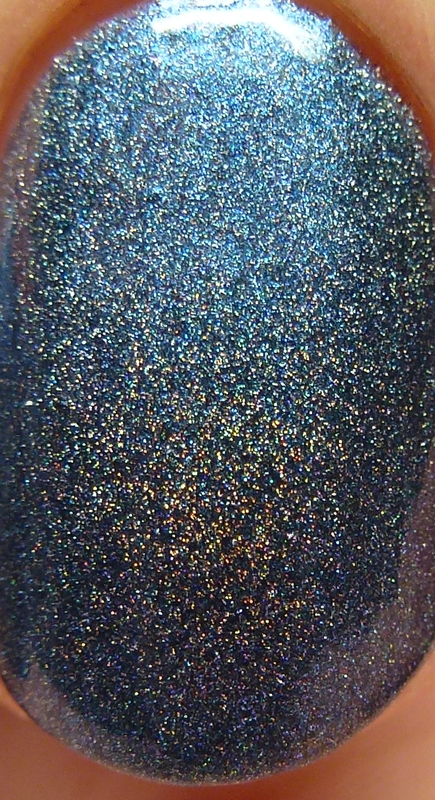 This one had a tendency to show brush strokes, so good polishing technique is desirable. Lizard's Leg was another favorite of mine. 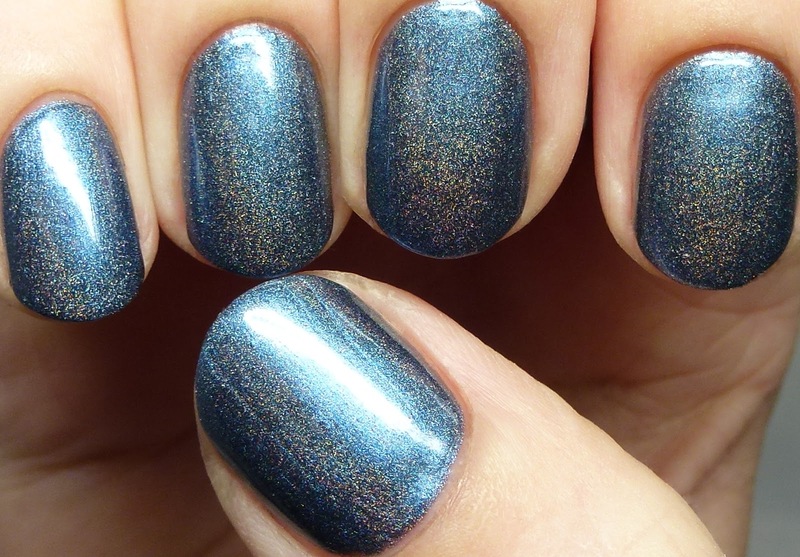 It has a dark imperial blue shimmer base with scattered holo, opaque in two to three thin coats. I love how it hovers between blue and green! I'll be back in a little bit with the second half of the collection. 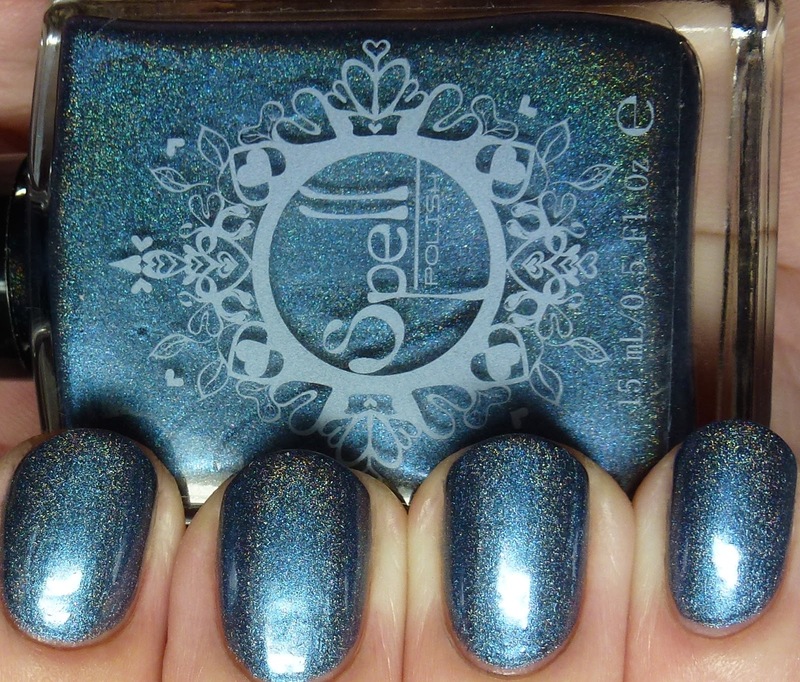 Which includes some of the brand's fantastic matte shades. See any that catch your fancy? 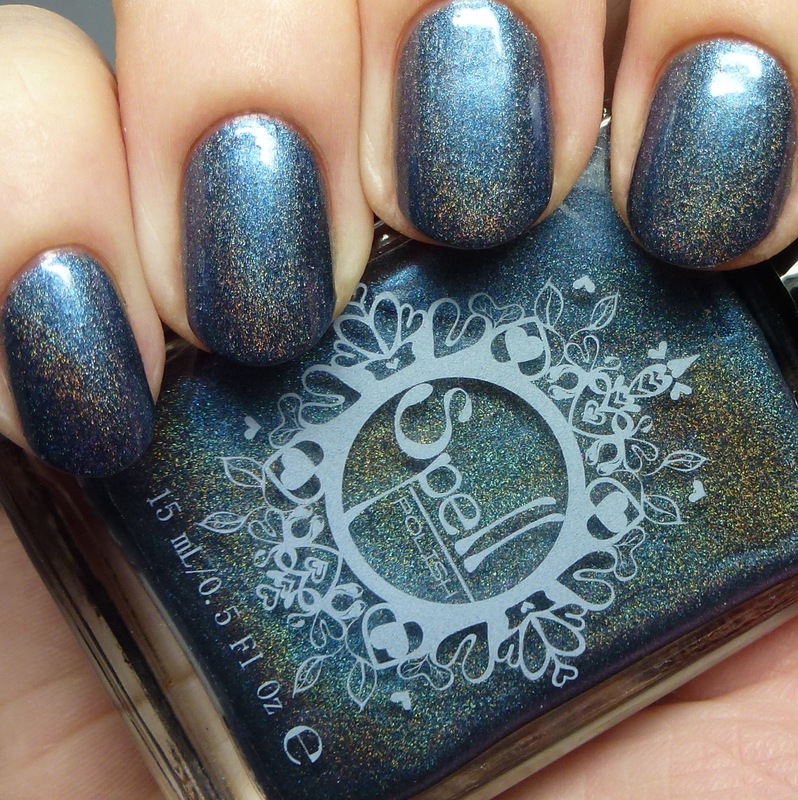 Have you tried Spell Polish yet? 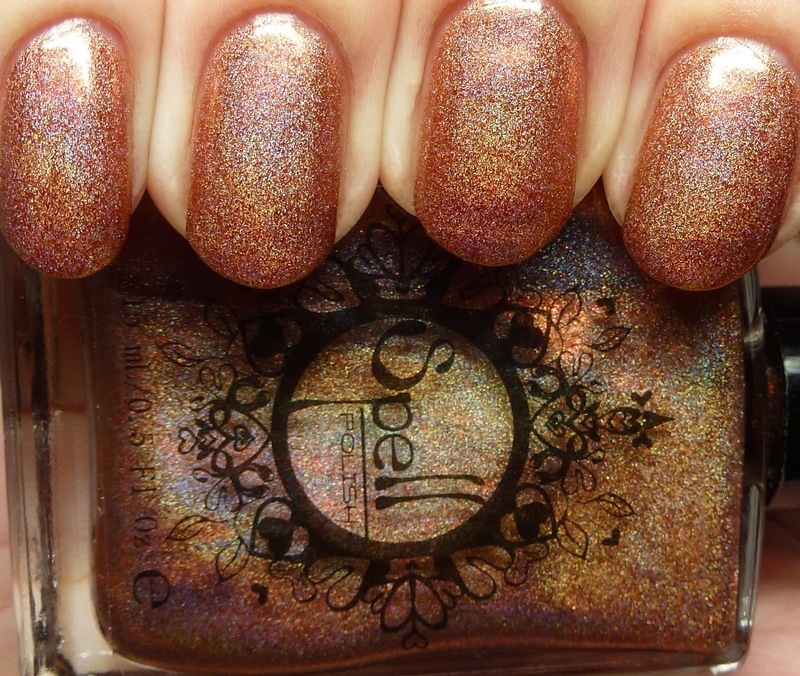 Spell Polish is an upstate New York brand that offers a range of stunning multichromes, smooth mattes, and interesting finishes with beautiful packaging and graphic design.